That changing facial expression is well known to any football fan whose club makes hearty use of the loan system. One minute you can be happily Googling ex-players and chuckling at the footballing backwaters they now prowl, only to spy on Wikipedia the dreaded words ‘on loan from’. Cue the immediate switch from triumph to alarm as you realise there’s a chance your former centre back who coughed up a goal per game to the opposition with his trademark lunge may actually be coming back to terrorise your subs bench. Coincidentally, just last week I found myself reading about Johan Djourou, for reasons subsequently obliterated by a hastily added trigger device in my brain. The wave of calm that came over me as I read about his faltering career in the Bundesliga could have kept me content through the whole of this evil winter until those four awful words hit home: “on loan from Arsenal”. This can’t be happening, please no, plea- booooooooom. It’s very rare for a footballer to have a second coming at any club, and when they do it’s almost universally those who were actually half-decent the first time around. The loan system destroys this comforting paradigm. Arsenal have of course been the most active on the loan failure-go-round in recent years. The Gunners have loaned out countless players since they last won anything, all the while knowing the optimistically added ‘option to buy’ clause would create much mirth in another club’s boardroom as they hastily returned to sender at the end of the season. For fans, it’s a genuine nightmare to picture a loaned-out cretin once again donning your club’s colours. You’re forced to spend an entire season knowing that no-one was willing to take your in-house clown off your hands, but instead use him for a year and send him back, presumably in a worse state than before (I’m not sure about you but I don’t seem to be getting any better – at anything – with age). I cannot put into words the trouser-browning terror the prospect of Denilson returning to the Emirates sent through me for a year before the magnificent words ‘terminated by mutual consent’ rolled across Sky Sports News last summer. No doubt every club has their own loan horror stories. I’m sure Everton fans cower in fear of a worthless full back returning unbidden like a blackmailer who refuses to stay paid off. Crystal Palace almost certainly find themselves with a full stable of 12 goalkeepers each summer, all but two they thought had gone for good. 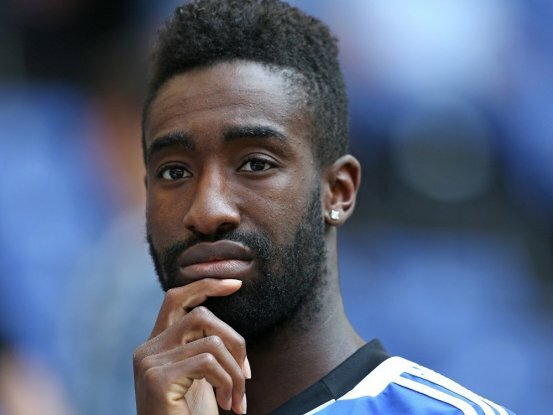 I’m afraid I’m blind to other clubs’ suffering, as all I can picture in my mind’s eye is the frightening sight of a confused Armand Traore stumbling into London Colney clutching a half-empty kit bag and a letter from his mum explaining where he’s been. There are many arguments against the current state of the loans system but no-one seems to mention the sheer misery of waiting for the ominous return of a useless player. Perhaps the mystery can be solved by the ‘two sides to every coin’ philosophy. For every club grimly awaiting their broken returnees there is a club gleefully licking stamps and slapping them on the shiny head of Philippe Senderos. I can’t deny a certain exhilaration at the prospect of parcelling Julio Baptista back off to Spain after his comedic turn in the 2006-07 Premier League. But this is football, and the misery always outweighs the joy. For every Baptista there are a hundred Carlos Velas. For every player who has an inexplicable Indian summer after returning from loan (Bendtner), there is a parade of Emmanuel Frimpongs limping back, ligaments trailing in their wake. And for every player who actually benefits from a loan (Wilshere, Ramsey) there are countless players who come back still Marouane Chamakh. And as Arsenal’s unlikely 2013-14 continues to confound, we await the inevitable spring collapse safe in the knowledge that a hero named Johan sits in a big coat on a bench somewhere in Hamburg, idly fiddling with a trigger device that could detonate our defences and dreams for years to come. This entry was posted in Analysis and opinion and tagged armand traore, arsenal, bundesliga, chris lockie, football, hamburg, johan djourou, loan, nicklas bendtner, premier league by Chris Lockie. Bookmark the permalink.